Prime Minister Enele Sopoaga says a recent suggestion to swap Australian citizenship for maritime resources is an isolated view with no support, but countries still need to take drastic action to combat climate change. Last month former Australian PM Kevin Rudd wrote in a recent essay that Australia should offer citizenship to residents of the small Pacific nations of Tuvalu, Kiribati and Nauru in exchange for control of their seas, Exclusive Economic Zones, and fisheries. PM Sopoaga has described Kevin Rudd's proposals as "imperial thinking" and said the importance of Pacific nations' culture, tradition and sovereignty should be respected. However, he didn't believe Mr. Rudd represented the stance of Australia or New Zealand. There're better way to work with small island nations when it comes to dealing with climate change. PM Sopoaga reiterated a call that was made at 2018 Pacific Islands Forum (PIF) meeting that urged Australia to abandon coal power generation within 12 years, and to prohibit new coal plants or expansion of existing ones. World leaders should look towards more renewable energy sources rather than coal. 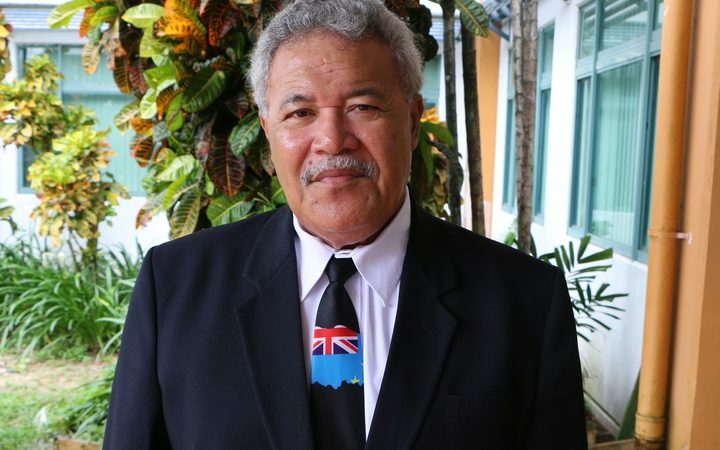 New Zealand's DPM also foreign minister Winston Peters has led a ministerial delegation to Tuvalu on March 3rd, 2019, where he met Prime Minister Enele Sopoaga. During the visit, PM Sopoaga and Minister Peters signed the "Tuvalu-New Zealands Statement of Partnership", which prioritizes working together on climate change, workforce development and regional security. Minister Peters said the agreement sets out the fundamental principles for the relationship to develop between 2019-2023. PM Sopoaga said with its various challenges, Tuvalu's voice needs to be heard more clearly internationally and within the region. The new agreement will assist in this regard. He also believed the new agreement is as pathway for two nations to move forward and hopefully can regularize meetings between Tuvalu and Wellington. PM Sopoaga further said that there're many areas that the two countries can work together on. "Issues of climate change; visa, immigration issues of Tuvaluans coming to New Zealand; vocational training and hands-on training and the building of local capacity of Tuvalu." The New Zealand delegation, which includes Social Development Minister Carmel Sepuloni and Pacific People Minister Aupito William Sio. In the morning of 27th February, 2019, H.E. Neijon Rema Edwards, the new Ambassador for the Embassy of the Republic of Marshall Islands, paid a courtesy call to H.E. Ambassador Limasene Teatu at the Embassy of Tuvalu, R.O.C. (Taiwan). Ambassador Edwards officially assumed the position of Ambassador on 21st January, 2019. As Tuvalu and Marshall Islands are the member of Pacific nations, we are looking forward to further cooperation here in Taiwan in the future. In the afternoon of 21st February, 2019, Mr. Hsuan Tsai, project manager of Taiwan International Fisheries and Seafood Show (TIFSS), Taiwan External Trade Development Council (TAITRA) and Ms. Maggie Lee and Ms. Yvonne Tsai, organizers of TIFSS, MY Exhibition Co. Ltd., paid a courtesy call to H.E. Ambassador Limasene Teatu at the Embassy of Tuvalu, R.O.C. (Taiwan). Both sides exchanged the idea on the fisheries show this year. On behalf of Tuvalu government, H.E. Ambassador Teatu appreciated Taiwan Ministry of Foreign Affairs and TAITRA’s supports on exhibition. Thanks to the TIFSS, there’re more people know Tuvalu and its marine resources that could create more business opportunities to Tuvalu. H.E. Ambassador Teatu also agreed that hopefully Tuvalu officers from fishery related department can join the TIFSS this year. In the morning of 20th February, 2019, Mr. Rover Chang, Jr. Vice President of Seaman Dept., Evergreen Marine Corp. paid a courtesy call to H.E. Ambassador Limasene Teatu at the Embassy of Tuvalu, R.O.C. (Taiwan). H.E. Ambassador Teatu exchanged the ideas with Jr. Vice President Chang on Tuvaluan seaman recruitment issues. On behalf of Tuvaluan government, H.E. Ambassador Teatu expected Evergreen Marine Transport Corp. can provide more job opportunities to Tuvaluan seafarers in the near future. Congratulations to the 3 Tuvalu participants, Tauteave Matagale, Ben Petaia, and Taemani Telaufatu who received certificates at closing ceremony of 2018 Youth Mandarin Language Training Project on 29th January, 2019. Special Thanks to 外交部 Ministry of Foreign Affairs, ROC（Taiwan） 財團法人國際合作發展基金會 Taiwan ICDF 銘傳大學 for the support and assistance which have made the project possible and successful. Huge congrats to Ben Petaia who received Outstanding Academic Performance Award! In the afternoon of 17th August, 2018, H.E. Ambassador Limasene Teatu was invited to meet with 75 youth ambassadors at training courses at Ming Chuan University. H.E. Ambassador Limasene Teatu shared her country Tuvalu and exchanged the ideas with the participants. Tuvaluan student Lauila also joined the course introduced the beautiful Pacific island country Tuvalu. She attracted the students by traditional dance. Let’s see the beautiful pictures.